Mercury designers pulled out all the stops, with an exciting exterior full of trim and chrome accents, and an amazing array of features unique to the model. 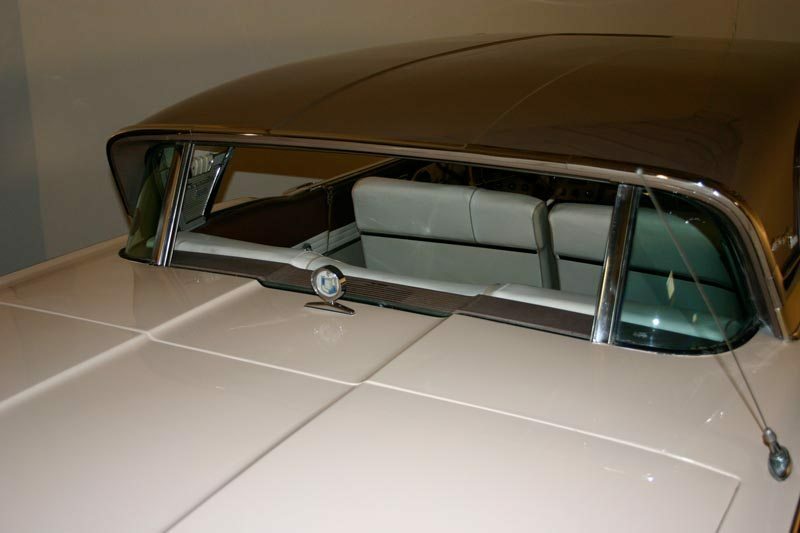 Notable are the “Twin Jet” fresh air intakes above the windshield for passenger comfort, and when combined with the unique power “Breezeway” rear window, allowed true flow through ventilation for the passenger compartment. Also in the “whiz-bang” gadget category are the “seat-o-matic” automatically adjusting power seat with memory, and the “computer” that estimates your average speed using time and mileage – pretty cool stuff in 1957. Mercury also enjoyed the notoriety of pacing the 1957 Indianapolis 500 in 1957, an honor that helped them achieve great success that year. The car seen here is a nice driving example having had just a handful of owners. It has resided in an extensive collection for over a decade, with limited use and climate controlled storage during that time. 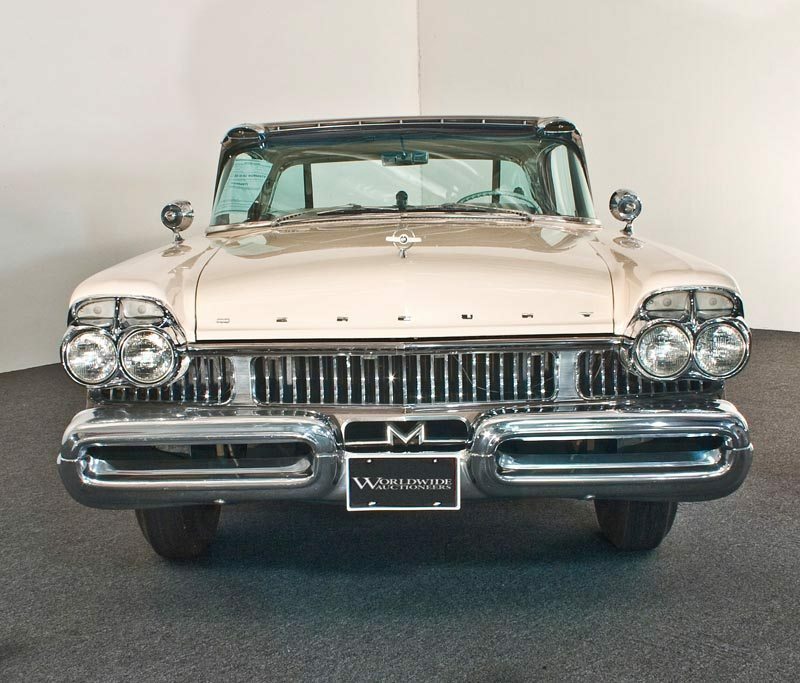 It has been run regularly for maintenance, and the big Mercury 368 cid V8 engine pumps out 290 HP, and with the automatic transmission as standard equipment, there are few cars of this era that can hold a candle to the Mercury’s highway manners. 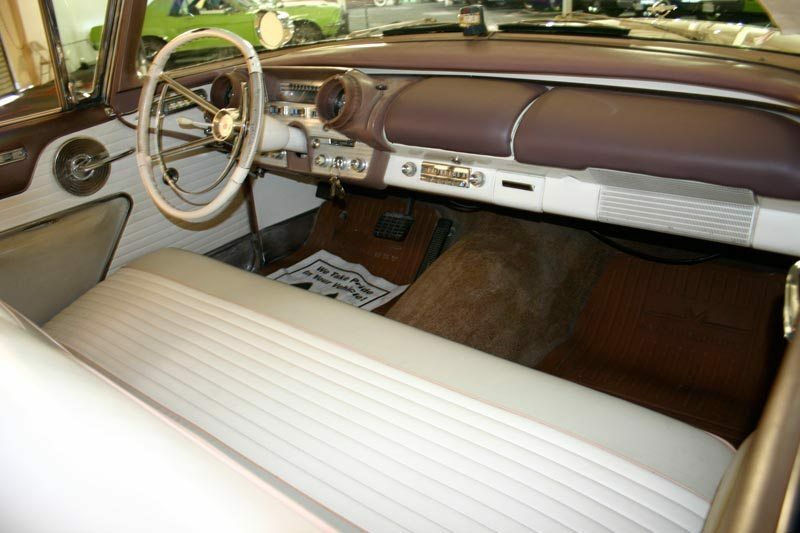 The body is quite original, and received a light cosmetic restoration with new paint, during which, a set of full length fender skirts was installed. It also has newer wide whitewall tires and a dual exhaust system. 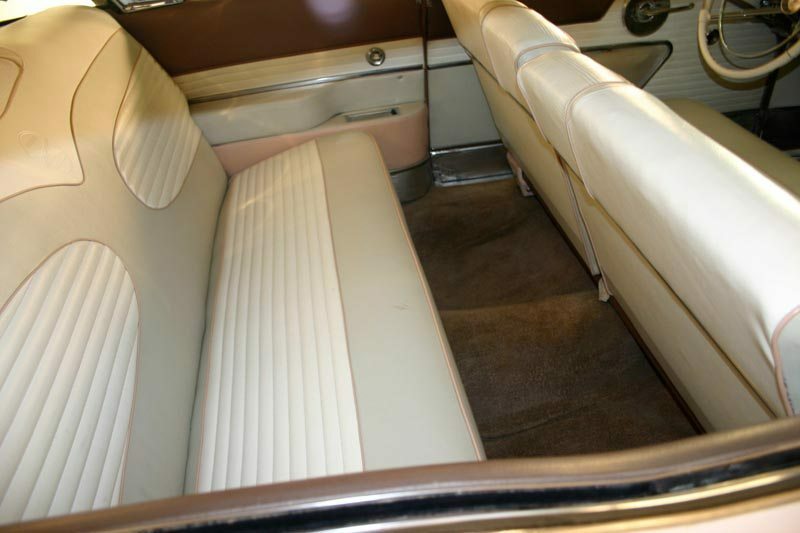 Possibly the most unique feature is the very original interior that is clean and correct, with the carpets and two-tone seating surfaces in like new condition. The car is presented as it left the factory, with power steering, power brakes, and power windows, including the Breezeway rear window. It has an innovative padded dash, and other safety features including an impact-absorbing deep dish steering wheel and factory white seat belts. 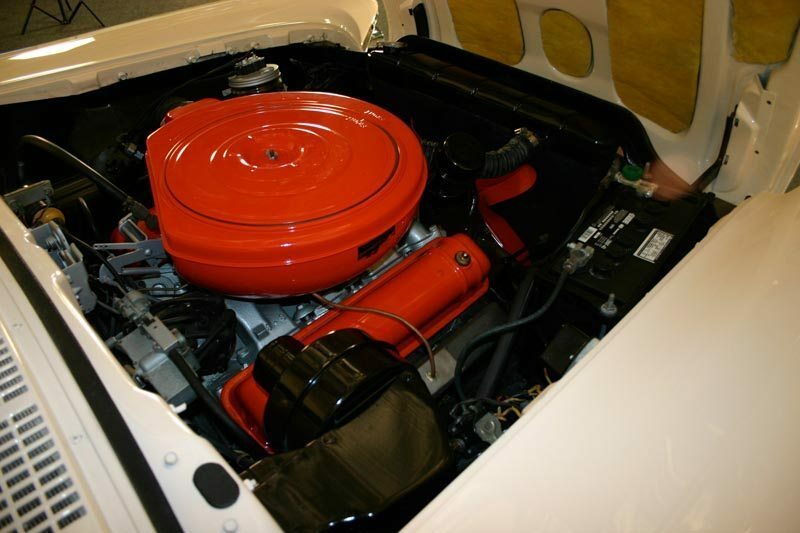 Everything from the interior to the engine compartment appears tidy and correct, and the car stands today nearly as clean as it left the factory. It is an outstanding design that runs well, drives like new and is ready for road trips or shows across the country. 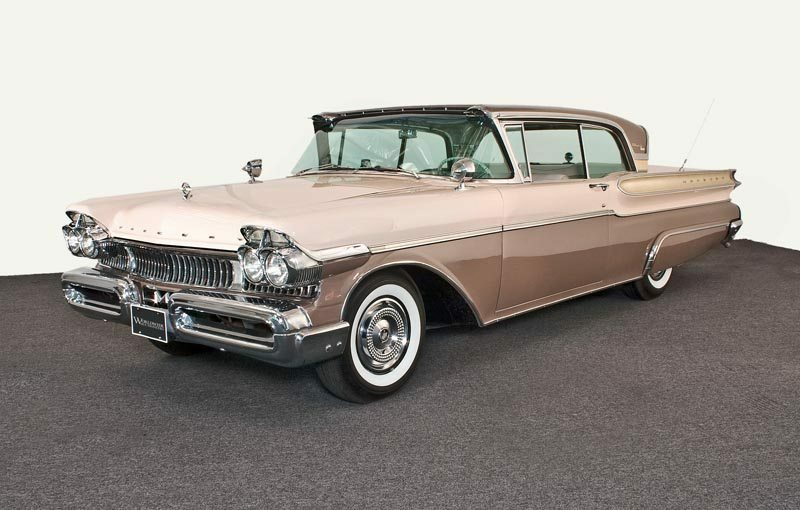 If you have an early model Mercury or another collectible you’d like to insure with us, let us show you how we are more than just another collector vehicle insurance company. We want to protect your passion! Click below for an online quote, or give us a call at 800.678.5173.